We Go The Extra Mile On Each Unit To Ensure We Are Offering The Nicest Certified Vehicle Available. We Start With A Diamond Not A Turd And Make Sure All Fluids, Tires Brakes, Ding Removal And Any Necessary Touch Up Has Been Completed. They Are Back To OE Standards And Back To New Showroom Quality. Guaranteed! REMEMBER YOU GET WHAT YOU PAY FOR! I Buy Each Vehicle Personally So, Who Do You Think Buys The Nicest Vehicles? A Man Spending His Own Money Or An Used Car Manager Spending Someone Elses Money? Im Sure You Know The Answer! Rest Assured You Can Be Confident About The Quality Of Our Vehicles. Up To 26 Photos Are Provided For You To Better Inspect The Vehicle For Quality And Cleanliness, But Nothing Replaces Seeing The Vehicle In Person And Taking It For A Spin Around The Block. A Personal Invitation Is Extended For You To Take A Test Drive Of The Best Vehicles On The Market In The Southeast At Chris Polson Automotive. We CERTIFY, Professionally Detail, Service And Provide A CarFax On Each Vehicle For Your Peace Of Mind. Guaranteed! So Relax, Stop By Or Call Today And Let Us Help You Solve Your Transportation Needs! 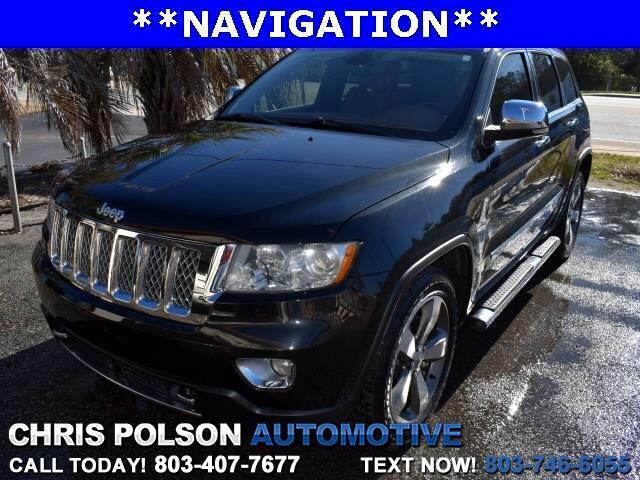 Visit Chris Polson Automotive online at www.irmocars.com to see more pictures of this vehicle or call us at 803-407-7677 today to schedule your test drive.